Twenty-five games into the season and one week from the start of Big Sky Conference play, the Montana softball team is still trying to establish an identity. Two games on Friday didn’t help with the enigma, as Montana (10-15) opened its home schedule with day one of the Grizzly Classic at Grizzly Softball Field. Montana used a walk-off double by Sydney Stites to defeat Seattle 4-3 in its opener, but the Grizzlies turned around and lost 7-4 to Maine, which lost to the Redhawks 10-1 on Friday morning and now has three wins on the season. “Conference play starts next week, and it’s almost like we’re still trying to find ourselves. By this point we should know what our identity is,” said UM coach Jamie Pinkerton. 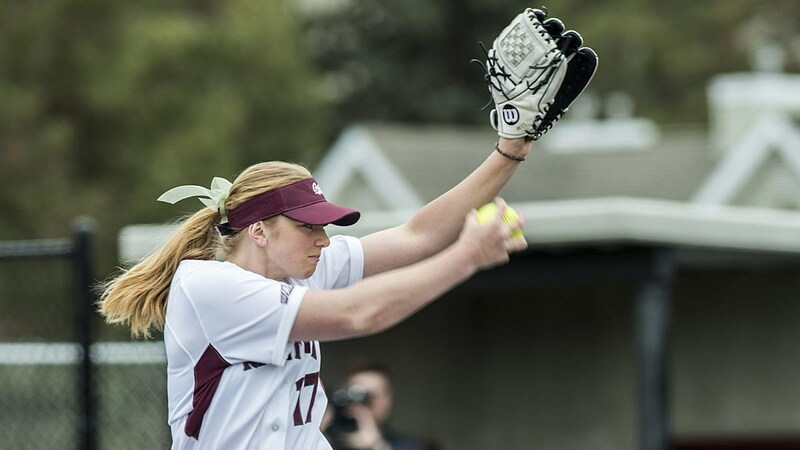 Montana lost twice to Seattle pitchers Alyssa Reuble and Andie Larkins last month at Santa Clara’s tournament, and the Grizzlies faced both in their opener on Friday. One week after Reuble threw a five-inning perfect game against South Dakota, Montana got to the senior in the bottom of the first when Delene Colburn doubled to left center with two outs to drive in Stites, who was on first base after drawing a one-out walk. That would be the extent of Montana’s scoring until the bottom of the sixth, when the Grizzlies started their rally from a 3-1 deficit. Madison Saacke drove in pinch runner Kylie Hayton with a one-out triple to right field, the first triple of her career. Tori Lettus followed with a single to left field to drive in Alex Wardlow, who was pinch running for Saacke, to tie the game. Seattle, which scored three in the third off starter Michaela Hood (3-2), who would ultimately get the win after pitching her third complete game of the season, put a runner on second with one out in the top of the seventh, but Hood forced a ground out and fly out to put an end to the threat. When Montana last faced Larkins, back on Feb. 19, she was one-hitting the Grizzlies in a 2-0 Seattle victory. So it’s no surprise she came on in relief of Reuble in the bottom of the seventh, despite going the distance for the Redhawks in their win over Maine one game earlier. She didn’t last long enough to even record an out. MaKenna McGill walked, and Stites followed with a drive that got over the centerfielder’s head, allowing McGill to score all the way from first. “She’s a great down-ball pitcher, so we struggled against her when we played them in Santa Clara,” said Stites. “For me it was just shortening up and trying to make solid contact. I scooted to the front of the box, and I think that helped me. Maybe in the big picture, but it didn’t extend into Montana’s contest 20 minutes later against Maine, which was 2-14 entering the game and coming off a lopsided loss to Seattle. The Grizzlies gave up four runs to the Black Bears in the second and three more in the fourth and never held a lead, despite outhitting Maine. “We’re kind of a laidback team to begin with, but both our opponents played with a little more feistiness than we did,” said Pinkerton, who got tossed in the Maine game after arguing a close play at first base. Maine opened the scoring in the top of the second. With the bases loaded and one out, Erika Leonard drove a ball deep into the left-center gap that McGill chased down and caught at the track. Her collision with the fence sent her to the ground, which allowed two runners to tag up and score. McGill, who has started all but three games in Montana’s history, had to leave the game with assistance. She didn’t return and was later on crutches. A triple and an illegal pitch put Maine ahead 4-0. All four runs were charged to starter Sara Stephenson (2-4), who was tagged with the loss. Montana cut its deficit in half with a pair of unearned runs in the bottom of the second, courtesy of back-to-back throwing errors by Maine third baseman Alyssa Derrick. Colburn led off the inning with a single and later scored on Derrick’s second error of the inning. Ashlyn Lyons scored on a single to second base by Wardlow. Maine struck for three more runs in the top of the fourth on three hits off Haley Young. With two outs, Young was relieved by Colleen Driscoll, who would pitch hitless relief the rest of the way, but by that point the damage had been done. The Grizzlies scored once in the fifth on a Stites RBI groundout and once in the sixth on a passed ball with the bases loaded. All four of Montana’s runs were unearned off Maine starter Annie Kennedy, who picked up her first win of the season. Stites led off the seventh with a sharply hit single to center, but she was picked off first base when Bethany Olea followed with a line-drive out to the second baseman. The ensuing argument over the force-out led to Pinkerton’s ejection. Lettus went 2 for 3 against Seattle, Wardlow went 2 for 3 against Maine. Maine and Seattle will open Saturday’s schedule with a game at 11 a.m. The Grizzlies will face the Black Bears at 1:15 p.m., the Redhawks at 3:30 p.m.